The Bert & Phyllis Lamb Prize in Political Science | Rewarding undergraduate innovation and good writing. Students who graduate in the Fall are eligible to apply for the Prize that is to be awarded in April of the following year (i.e., the same academic year). For example, students who graduated in December of 2017 are eligible to apply for the 2018 Prize. The deadline for receiving an application or nomination is the second Friday in February each year. 2. May a person nominate more than one student per year? The answer is YES. Heed the call. Oppportunity is knocking. 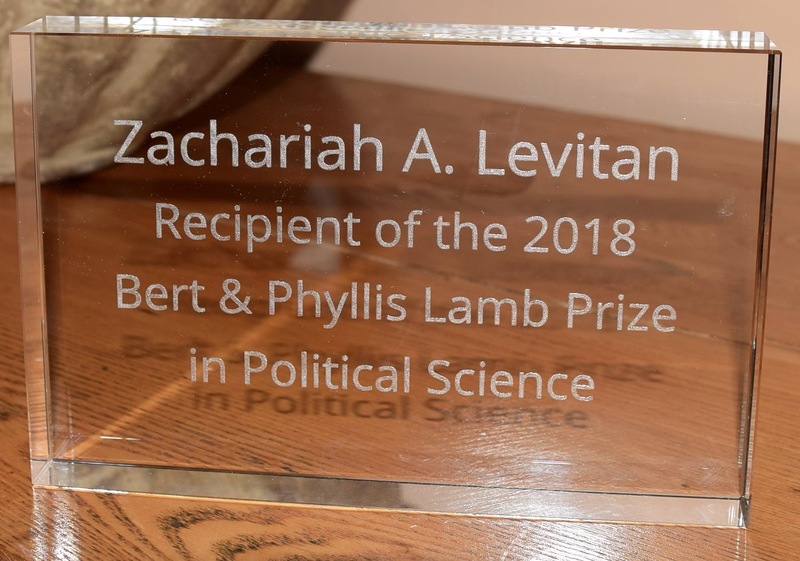 For those of you seeking the adventure of prize-winning political science and innovation, the deadline for the 2019 Lamb Prize is swiftly approaching. Applications for the 2019 Prize are due to the Selection Committee by February 18, 2019. Not sure the Lamb Prize is calling you? Think again and check out this video from 2018 Lamb Prize recipient, Zach Levitan, to learn what winning can mean for you. Want to submit, but are not sure your paper is good enough? Our Selection Committee shares steps for creating a successful application: Guidance for Applying. Zach also talks about the experience of presenting your paper as part of a roundtable panel at the Western Social Science Annual (WSSA) conference. If you are not ready this year, applications for the 2020 Lamb Prize are due on February 17, 2020. The WSSA conference in 2020 will be held in Portland, OR. You can find information about the WSSA and the conference at WSSAweb.net . Video: “The Lamb Prize: Your Academic Call to Adventure” by Zacharia A. Levitan, 2018 Recipient of the Lamb Prize.